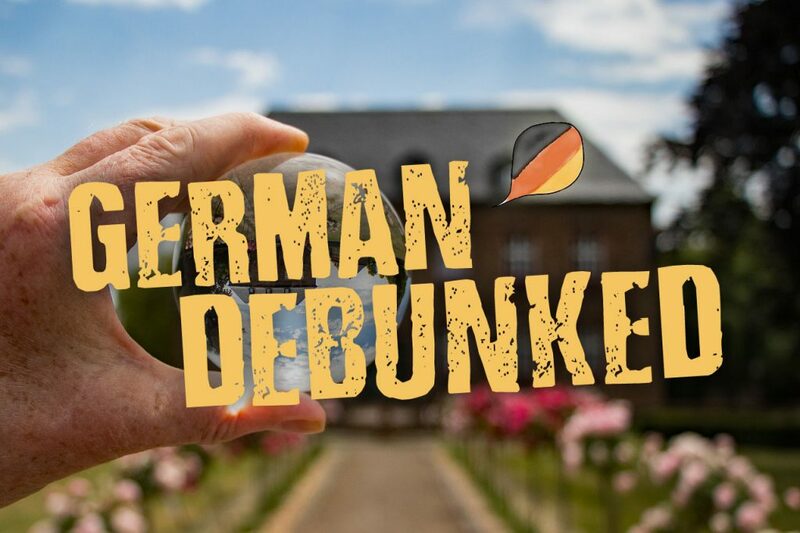 Every language has myths surrounding it, and German is no exception. Some of the more popular myths being German is hard, unpredictable, and angry, everyone speaks English in Germany anyways, or some are as silly as to claim that Germans cannot pronounce the word “Squirrel”. We are going to go over these myths and talk about why they are, in fact, false. The fact of the matter is, any language is going to be difficult to learn. German is easy, compared to other languages, being that it has only four cases, much unlike Russians six, or Finnish’s fifteen cases. In 1996, German was standardized. Standardization is done to simplify the rules of a language. It helps to make spelling more uniform and predictable. The rules were revised a few times, but they are now taught in schools in Austria, Switzerland, and of course, Germany. “Since standardization, the rules for spelling are much more rigid and predictable, so once you have learned standard pronunciation rules, you will be able to say any word correctly. The same goes for writing. Once you hear it spoken, you will be able to write it, with only a few exceptions”, – says Raymond Degen, an Educator at Stateofwriting. As we went over with the previous myth, the standardization serves to make the language predictable, and therefore, easier to learn. With the various rules and structures in place, it helps to make German much easier to predict, take for example, the words “game” and “player”. In German, the word for game is “spiel”, and player is “spieler”. This is just one case of how the German language rules serve to make the language more predictable. No language is free from stereotypes, German included. A polish writer once compared the German language to a chest of drawers falling down a staircase. Any language without the use of softeners would sound angry, rigid and hard. Most newcomers to the German language often neglect to add softeners such as “denn”, “doch” or “ja”, which is one of the most effective ways of making German sound softer, and more emotional, and is something that should be included in any language learning software or program from the start. Doing so would eliminate this very frustrating and prevalent myth. This one is just lazy. While many Germans do speak English well, the fact is, you will miss out on a lot of experiences, and opportunities if you do not speak German, in Germany. Randy Howard, a Language blogger at Writingpopulist and Letsgoandlearn comments: “If you are worried about pronouncing something wrong, you will be pleased to find out that many Germans are happy to assist you by helping correct what you said wrong and explain it, so you ideally would not have it happen again”. This one is silly. Yes, some Germans do in fact get confused by the word squirrel, but many can say it without issue. It is difficult for a native German to pronounce, and that is due in part to the rules in the language. Most do not have any issue with the first half of the word “Squirrel”, but instead the issue arises from the second half “rrel”. “Many Germans find themselves trying to break it into a two-syllable word instead of one, which leads to the difficulty with pronunciation for some Germans. Its very hard to pronounce with a native German tongue, but not impossible”, – explains Jonathan Parker, a Language tutor at Mywritingway and Viawriting. Just like any other language, German can be difficult to learn, but that should not deter you from attempting to learn it. Thanks to standardization, German is much more predictable and easier to learn compared to many other languages. 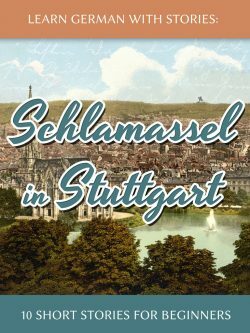 While it may sound angry to some, namely those that neglect to use softening words, it is a very pleasant-sounding language to many, and since not everyone speaks English in Germany, so it would be wise to learn the language before visiting Germany, so as not to miss out on any opportunities or experiences. And yes, Germans can, in fact, pronounce the word squirrel. It is just difficult for native German speakers, due to the rules of the language and force of habit. Freddie Tubbs is a language writer and editor at Academ advisor. He regularly takes part in education conferences and contributes article to e-learning magazines and blogs.